Vikram Seth was born in Calcutta in 1952. He earned degrees in Philosophy, Politics and Economics from Oxford University. He has published 6 books of poetry and 3 novels since 1980. His novel "A suitable boy" won the W.H.Smith prize in 1993. The latest novel written by Vikram Seth is 'An Equal music' and it is about the troubled love life of a violinist. 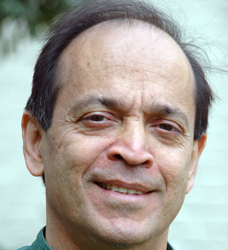 Vikram Seth received one of Britain top honours for his services to literature. The award of the commander of the order3 of the British Empire was announced earlier in the year by Queen Elizabeth II and given to Seth on 14 February 2001. Vikram Seth creates a living, breathing world that enchants and grips the reader in all his novels.